Can you still remember your favourite Paddington Bear scene from the book or movie? If you’re one of the many hearts that fell in love with the story and adventures of our Paddington Bear in London, then this party is a must see! 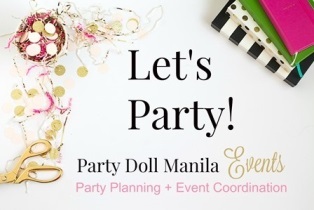 Get ready to swoon with delight for Blake’s first birthday party brought to us by our friends from the Party Divas PH. Let’s make the small bear blush and have a bear-y good time! Thinking of how to make your guests excited on what awaits them inside? Very simple! Put up a life-sized Paddington Bear and a London Royal Guard at the entrance to welcome your guests – enough to do the trick and set their mood. And-oh-my! Let’s all take a moment to appreciate this extravagant ceiling design that definitely made the place alive and vibrant. Styled with buntings, balloons, and fabric drapes, of course, they have to incorporate London’s colours of blue, white, and red. Words are surely not enough for this one, guys. Then there’s this stage that was designed with almost everything that London has to offer. From the iconic red telephone box to London’s famous bridge, Big Ben tower, and London’s eye. There’s also another life-sized standee of our favorite bear and Royal Guard to cutiefy the stage. Yas! Is a four-layered cake too much? Definitely not for our little Blake’s first birthday bash. Each layer was designed with London’s favorite finds. And to complete the cake, it was topped with a small Paddington Bear sitting on his vintage suitcase, exactly how he looks like when the Brown Family found him at the London’s Paddington train station after leaving his hometown, Darkest of Peru, almost 50 years ago. Smart move here! Blake’s party was also jam-packed with fun activities and food carts for everyone to enjoy! Who can say no to these cute Thumbs up ice cream and cotton candy? They also thrown in everyone’s favorite fries from Potato Corner to the mix! And before we forget, let’s also cheer for the fun that the LED dancers brought us, and for the special number from our friends, Mickey and Minnie Mouse. Aside from the live shows, the photo-op booth was a blast for the whole family. These side activities kept the kiddos in full party mode. And the BEST way to end Blake’s first awesome party was to send the children home with these suitcases filled with goodies! Here’s Blake with his beautiful family!